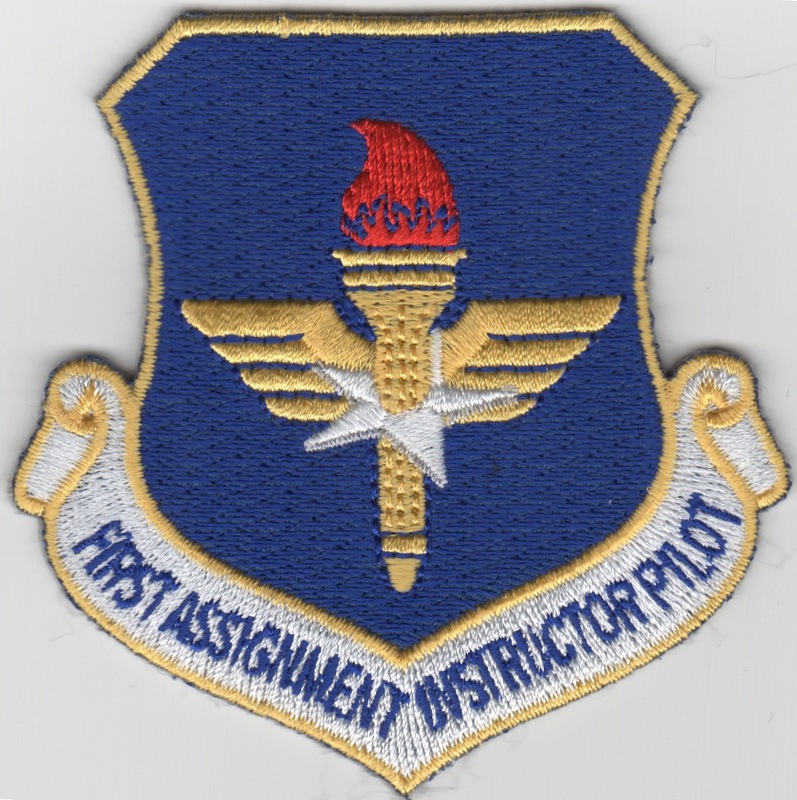 This is the blue version of the 'First Assignment Instructor Pilot' (FAIP) Crest Patch. This patch does NOT come with velcro already attached. This is the "1000 Hours" patch for those that fly in the T-1A. 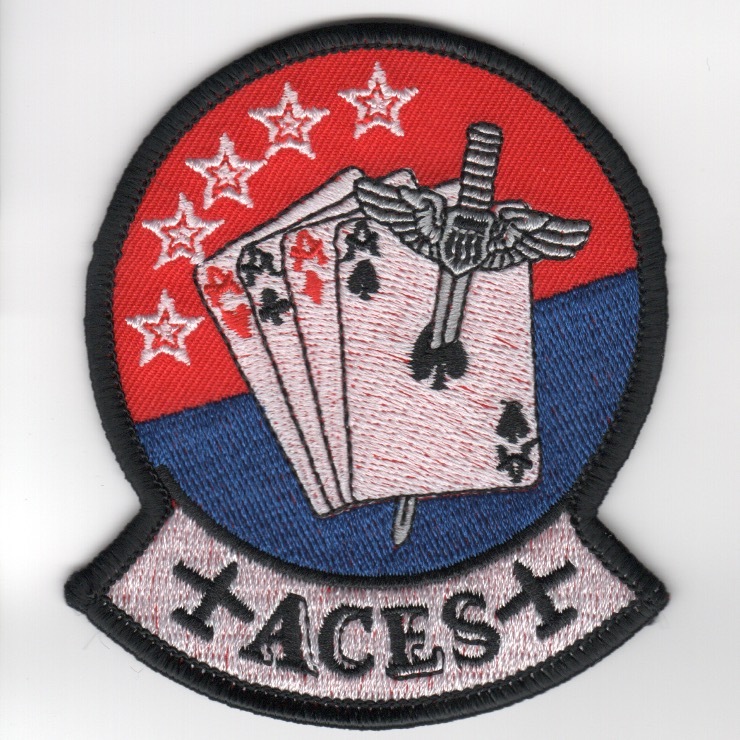 This is the "Aces" Flight patch for one of the USAF training squadrons that fly the T-37 aircraft. This patch does not come with velcro attached. This is a patch worn by a Pilot in the T-37 Checkride flight at either Laughlin AFB, TX; Columbus AFB, MS; or Vance AFB, OK. These are the guys that give all the student pilots their checkrides in the T-37 and just looking at this patch usually brings back bad memories for students. Anyway, the bird on the patch is a Vulture and the Check Section is commonly called the Vulture's Nest, since all the Checkride Pilots are Vultures and like to prey on the poor innocent students. 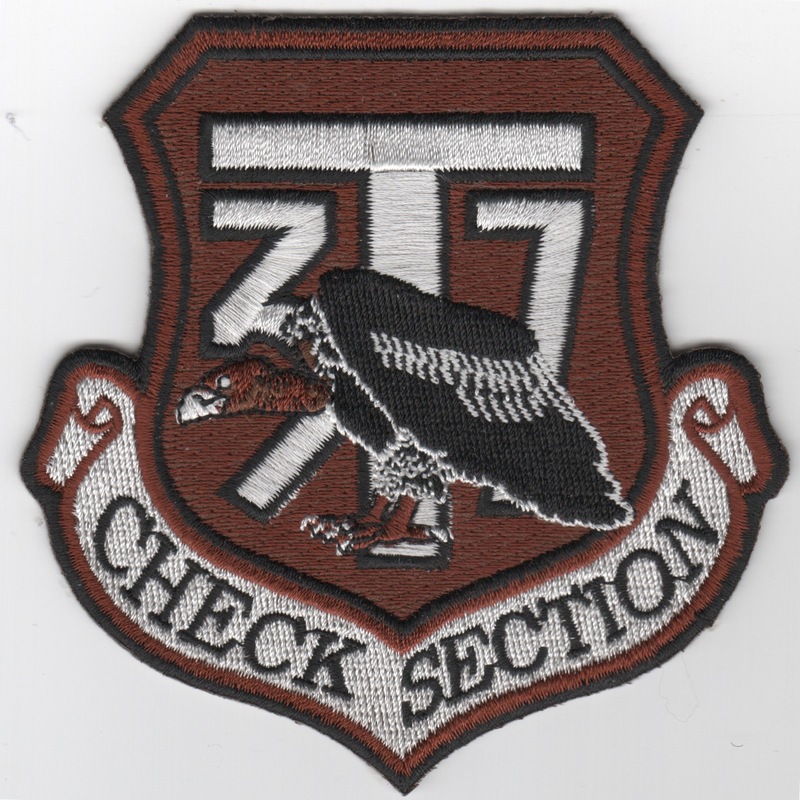 This patch is also the check pilot patch for Tweets at Laughlin AFB. This is the "A-flight" patch for one of the T-37 training flights. Not sure which. This is the "Flying For Freedom" patch for the T-37 "Tweet". This is the class patch for class 90-01. It shows a baby taxing on a runway and states "Let's get this baby off the ground". I'm not even sure whether this is a USN or USAF flight training patch. Let me know if you know . . . This is the class patch for Lackland Pilot Training class 96-04 and says "Olympic Warriors" along the top. This is the class patch for the "Euro-NATO Joint Jet Pilot Training (ENJJPT)" students of Class 97-03 and says "Fly Fast, Fight Dirty" along the top. This is the class patch for the T-3 students of Class 97-04 that says "At least I'm enjoying the Ride". This is the class patch for the JSUPT Class 97-10 that says "I thought this was PIRATE training". This is the class patch for the joint class of USN/GAF/USMC/USAF 97-13 that says "Feel'N Lucky". This is the class patch for the T-3 98-02 class that says "Enforcing the USAFA No-Fly Zone". 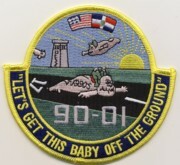 This is the class patch for the Joint UNT class 98-05 and says "Bad Attitude".